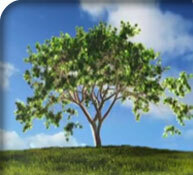 At Universal Printing, we have always taken pride in our commitment to the health of our environment. In fact, you could even say we were "green" before it was even COOL! To us, being "green" isn't just a label, or a series of certifications, or random lip-service. We feel that to truly impact the environment, we have to be committed to changes BEFORE they become fashionable or the latest "fad." This is why we were one of the first printing companies in North Carolina to stop using harsh chemicals in our press-room. We've been using vegetable-based inks for over 15 years, switching to 100% linseed oil inks over 5 years ago, allowing us to have one of the greenest press rooms in the area. In addition to responsible printing, we've been in the "recycling" business for over 20 years. All of our packaging and packing materials are made of 100% recycled and/or recyclable materials. But we want to do more than just brag about our commitment to the environment and to responsible printing. We invite you to come visit us and learn more about how we do business and why we've been able to provide innovative printing, best practices technology, excellent customer service, and still be leaders in the green movement since 1979. Here are just a few of the things we've been doing to protect the planet for your children and ours. If YOU want to help do YOUR part, try our Eco Paper Calculator to see how just picking the right paper can help make your projects more GREEN! While it’s true that Universal Printing recycles enough paper to save over 1,100 trees each year, truly being environmentally responsible is about so much more. Recycling paper has other environmental impacts: How about saving more than 20,000 gallons of oil as well? We also keep more than 4,700 cubic feet of waste out of our landfills, and keep almost 3,200 lbs of air pollutants out of our sky just through our rigorous annual recycling contribution! Recycled aluminum only requires 5% of the energy it takes to produce raw aluminum. Universal Printing reuses and/or recycles all of our aluminum plates which accounts for 2 – 2.5 tons annually. For each ton we recycle, we have contributed to the saving of 14,000 kilowatt hours (Kwh) of energy, 40 barrels of oil, 238 million BTU's of energy, and 10 cubic yards of landfill space. For years, Soy Ink has been the standard of Environmental Responsibility in the printing industry. But did you know that Soy Inks can contain little as 20% Soy Oil, while the rest of the ink can contain petroleum, or other volatile or “high flash point” oils. Our ink is 100% Linseed Oil based; similar to the oil paint that has been used by fine artists for centuries (Can you say "Renaissance Masters"?) It's fully biodegradable, non-volatile, and safe for the environment! Also, without any petroleum in the mix it creates brighter, richer hues and is completely Laser Safe!